You may have seen Norm Stamper before. He has made appearances on The Colbert Report, The O’Reilly Factor and numerous national TV and radio programs. Before Norm Stamper’s current role as advisory board member for LEAP (Law Enforcement Action Partnership) and NORML (National Organization for the Reform of Marijuana Laws), he was Chief of the Seattle Police Department between 1994 and 2000. Norm served as an officer for the San Diego Police Department (SDPD) between 1966 and 1994. He has been a long-time advocate of the legalization of all drugs and community-lead policing, as well as institutional reform of the police force in general. Norm wants to see an end to the War on Drugs, as he believes (rightfully so, in our opinion) that doing so will save police time, money and lives, as well as build trust among the communities they serve. Current policy, he says, leads to police being seen as a “military-like occupier presence” in many areas of not only the United States, but the world at large. Has there been a change in attitude towards cannabis and its users in the police force since you retired? Absolutely. The rank-and-file officers may be less confident about the implications of marijuana legalization in comparison to the brass, but most police officers see the writing on the wall. They understand the great numbers of American citizens pushing for legalization, and are in fact acting on that impulse, whether by putting together initiatives or putting pressure on politicians. Are there wide social and cultural differences between police forces in different departments and states? I think it’s important to understand there are almost 1,000,000 police officers working for almost 18,000 police departments in the US. Given this country’s fascination – if not fixation – with home rule, there are huge differences between police departments and their attitudes towards cannabis, even within the same state and between different counties. But I think it is safe to say that the support among officers for an end to the War on Drugs is probably as rigorous today as it has ever been. There’s a reason for that, which is not well-publicized, and that is that police officers use drug laws as a means of leverage. It is entirely possible for an officer to “stop and frisk” on the suspicion of drug possession or drug possession. So they want that leverage, that “hammer”, and they might not want to see an end to the war on drugs as they would lose that tool. Would you say that sometimes they use this tool to catch violent criminals who might not otherwise get caught? Drug laws provide police with leverage. That’s one of the main theories or arguments that police officers use. They will cite specific examples or anecdotal evidence of the time they caught somebody who was involved in a drive-by shooting or another violent activity. They would say they were able to make such an arrest because they had the tools to at their disposal to do so. Of course, most of that violence is associated with drug trafficking. If you’re engaged in illicit commerce, and that commerce nets you obscene amounts of money, there’s a pretty good chance you’re going to arm yourself in order to protect or expand your operations, or to send a message to rivals. It is not uncommon for police to interrupt violent crimes that are being perpetrated in the cause of drug trafficking. Well, it is. And of course, there’s a tendency on the part of police officers to be “adventurous”. They don’t want to just write traffic citations and locate 8 year-olds… They want to engage in the “cops and robbers” activity. They’re kind of hard-wired for action. If they’re pitted against armed-and-dangerous criminals who are pretty serious drug lords – that’s the kind of work they prefer to do. These “cop culture” issues are, I think, important and generally underreported. In my first 14 months of the job, I came to learn the “pecking order” of the police force. The ones who get promoted, who get to work on investigative assignments and so forth… Almost always, the short answer is the cops who generated that kind of activity. There’s a reward system within that culture that supports that mentality as well. Did you have to keep your beliefs to yourself in order to carry on doing your job as a police officer? 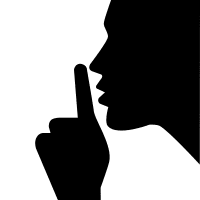 Public officials have an incentive to keep quiet. I will identify myself as the exception to most of the rules I’ll be sharing with you. I can safely say that the police officers who entertain the view that the War on Drugs has done more harm than good, that the massive amount of marijuana arrests are not good for public safety – those are the officers who’ll keep their opinion to themselves. They do so for reasons I hinted at earlier. They want to advance their careers. They want to get promoted, or go to a preferred assignment in another department. We wind up with reticence on the part of officers to hold or speak a rational or even progressive view. They’re going to keep silent, because it could come back to bite them. Would you say that this is the case with a lot of other sectors of society? I think it is. We’re often motivated by self-interest. Generally speaking, we all want to get ahead in life, whether that means making more money or taking more responsibility or greater recognition. Self-interest is a great motivator. This is with any kind of work, but particularly in government. I hate to be overly cynical about this, but most politicians lie in order to get elected, and they lie in order to get reelected. They lie to move into higher and higher offices. As a result, they become clueless as to the extent to which they are lying about what’s good for society as opposed to what might be harmful to society. Politicians recognize that popularity is not just a contest, but the currency of politics. If you want to get ahead in politics or hold onto the seat you currently hold, you will avoid making statements that may in fact align with your own personal views and values. But you’ve become a political animal, and as such you’re going to be trading in deceit. I’ve seen it from the local level upwards. They’re whispering their support for an end to the drug war, but in public, they’re presenting an entirely different face. 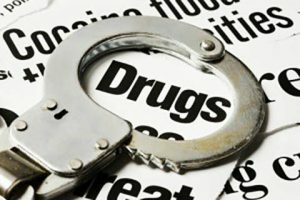 How did the “higher-ups” in the departments you worked in feel towards your attitudes on the War on Drugs? On my way up the chain of command, I did not make a habit of promoting my views on the drug war. My personal interests and priorities were focused on internal and institutional reform, both at home and throughout the country. But somewhere along the line, around the early 90s, I realised how damaging the War on Drugs had been and would continue to be unless we did something about it. 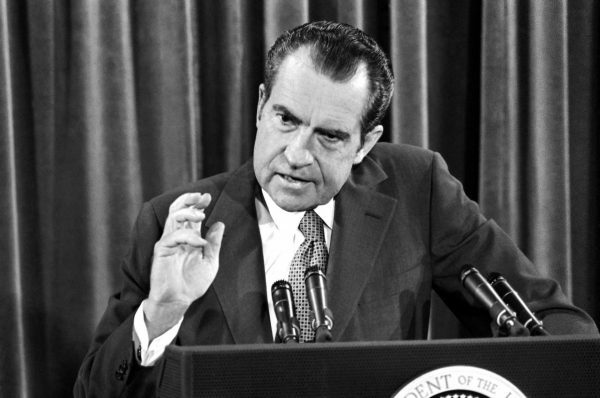 37th US President Richard Nixon spearheaded the War on Drugs (AP Photo/File). If we want to reform policing as an institution, we have got to remove police officers as the “foot soldiers” on the War on Drugs. When Richard Nixon famously proclaimed drugs and drug abuse as public enemy number one, and declared all-out-war on drugs, he was really declaring war on his own people. Principally people who are young, poor and of color. And he put police officers in the role of foot soldiers in this war. You don’t fight a war without an enemy, and don’t fight a war without propaganda. So the machinery of war was invoked and stoked for decades, and continues to flourish throughout the country and the world. It has produced such a harmful attitude and effect on police officers. How do you feel about legalization efforts in the US at the moment? Are they on the right track? Definitely on the right track. Once again, we have that patchwork quilt of law, tradition, history and so on from one state to the next, and even within smaller jurisdictions, like cities and counties. Washington was one of the first states to legalize cannabis. This notion of “home rule” is so vital to American democracy. It has some real strengths, some real drawbacks. But one of the things that Seattle managed to do before Washington passed the legalization initiative was to declare cannabis enforcement as the lowest priority for the police and the prosecutors in Seattle, which was achieved by citizen initiative. 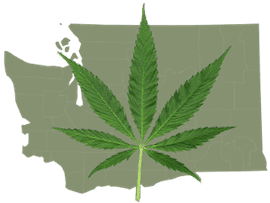 Seattle city attorney Pete Holmes was one of the leading lights behind the campaign to legalize cannabis recreationally on a state-by-state basis. Washington and Colorado were the first to do so, and this was soon followed by others. On a state-by-state basis, it looks as if we’re close to reaching critical mass. There are some states that may be slower in the uptake for legalized marijuana – particularly the southern states – but we’re looking at seeing legalized recreational marijuana in over half of US states within the next couple of years. What can the US learn from other countries that have legalized or decriminalized drugs? Well, we can learn that the sky doesn’t fall! All those countries that have legalized or at least decriminalized marijuana and provided things like supervised safe injection sites have seen improvements in their social conditions, reductions in crime and just generally better outcomes. Would you say cannabis legalization would produce a positive effect on the police? Absolutely. The police stand to benefit an end to the drug war. Let’s assume we were to legalize all drugs, rather than decriminalize. We would shift the enforcement policy to the public health arena, as opposed to the criminal justice arena. We could still continue to exercise legitimate control. We don’t want people to drive impaired or furnish young people with any substances; but if we were to legalize, we would shift the role of police officers back to what it was in theory. It is inarguable that police back then were seen as much friendlier and “in touch” with the community. Police were still seen as public servants – as helpful, not harmful to society. Ending the drug war would help facilitate a return to this style of “community policing”, where people trusted the police and spoke to them a lot more freely than they might do today. This would improve public-police relations, which in turn would facilitate officer safety. Removing traditional drug enforcement as we see it would make police officer’s jobs so much safer, as gangs are increasingly cut out of a profitable black market and see their profits from drugs drying up. How much does policing cannabis cost in comparison to alcohol? We spend far more money on policing alcohol. You know, “mopping up” the bar room brawls, driving under the influence and other problems. 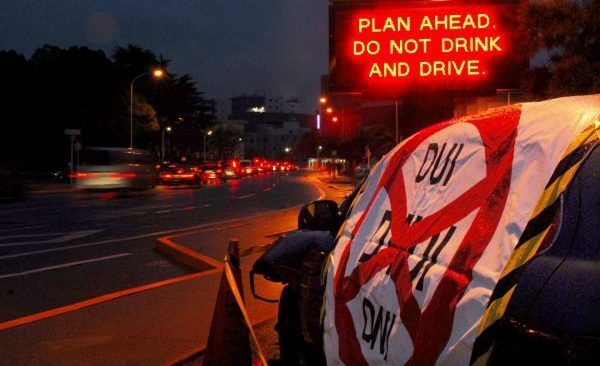 Alcohol policing – including arrests for DUIs and public disturbances – has high costs. There’s no definitive way of telling how much policing cannabis costs. This is because of the reporting and the lack of proper evidence to give precise numbers. But I think it would be safe to say that the expenditure for everything from stop-and-frisk to adult possession arrests costs lots. Moreover, stop-and-frisk is expensive. The New York Police Department (NYPD) was sued for tens of thousands, if not millions, of dollars for stop-and-frisk, as it was found in violation of the US Constitution. They were taking people stopped for small amounts of marijuana to the courts. This costs not only the courts time and money processing all of these cases, but also takes police officers off the beat, meaning less time police on the streets doing their jobs and building trust, and more time spent filling out paperwork and taking small-time, often non-violent offenders through the courts. Of course, these people would then be faced with the rigmarole of the criminal justice system, and potentially have their assets seized and out of their homes. This process costs society a lot of money – well into the millions. By legalizing marijuana, we’d be doing some good and much less harm. Do you believe cannabis to be medicinal? I don’t think I’m qualified to answer that question! I would leave that to the medical experts of the world. I do believe very strongly that cannabis has enormous medical properties. I was testifying once in Minnesota before a legislative committee. Just as I was about ready to walk into the room, they were exploring the possibility of medical marijuana legislation. I was approached by a middle-aged woman named Stephanie with an envelope in her hands, who asked, “May I speak to you for just a few moments?” She took this glossy, color photograph out of her envelope, and it was of her adult daughter, Joanie. Her daughter had melanoma, and it went undiagnosed and untreated for a long time. She underwent multiple surgeries, including on her face. These surgeries left Joanie indescribably disfigured. It was difficult to even look at the picture Stephanie was showing me. Stephanie told me that Joanie lived in considerable pain throughout her life, and that she had recently died. Joanie was in so much pain in the last two years of her life that she could not even hug her children. Joanie was living with her parents in her childhood bedroom at this point. Seeing that Joanie was in pain and that Stephanie wouldn’t allow cannabis in her house, Stephanie’s other two kids took Joanie to their own homes so she could medicate. Wracked with guilt and after having done some reading, Stephanie had asked her kids to bring Joanie back home and accepted that she may well need cannabis to help manage her pain. 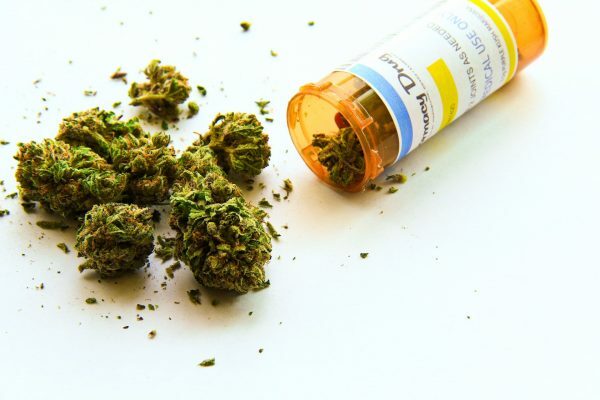 The notion of marijuana as medicine has been slow to gain acceptance. They moved Joanie back into her childhood bedroom, and they searched and made calls for cannabis. They had no idea where to go to, but someone found out about their story. The next day, on the porch of Stephanie’s home, was an unlabelled, unmarked package. This was, needless to say, a package full of cannabis. Stephanie said, “There’s a punchline to this whole thing. In addition to my learning and my education and the guilt that I felt in turning away my own flesh-and-blood, and depriving her of the kind of support and comfort that she might realize… I found that people are in fact, pretty good, that they do care and they do want to help. I was so moved, I could hardly talk. I was just about to testify in front of thousands of police officers. There was another police officer who was opposed to the medical marijuana initiative, and I was struck by Stephanie’s personal story, and how people would be denied comfort in their dying days were medical marijuana not to be available.